Unfortunately there is no way to prove what Clayton A. Hill revealed to the government this past October, and subsequently shared with HipHopDX in June, regarding his alleged involvement in the cover-up of the murder of The Notorious B.I.G. is 100% factual. 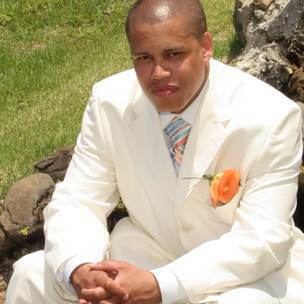 While DX was able to establish that Hill had indeed confessed his crimes of the past fifteen years to the feds, there still remain no real means of proving whether or not Clayton is genuinely baring his tortured soul or strategically seeking revenge against former associates in the Nation of Islam while attempting to profit from a fantastical work of fiction. Real or imagined, the jaw-dropping revelations found in the Chicago native’s autobiography, Diary of an Ex-Terrorist, make for one hell of a story. Self-published by the 41-year-old’s own Bella Media Group, the e-book reads like a less redemption-driven version of The Autobiography of Malcolm X. The man formerly known as Clayton X details his hard knock life before joining the Nation of Islam, the hypocritical and disturbingly criminal behavior he witnessed and participated in during his seven-year tenure as a member of the polarizing Islamic sect, and finally his continued criminal activity post-Nation as Clayton continued to battle an addiction to situational ethics. Hill writes in his Diary of a summer 1996 meeting in Los Angeles between he and the Western Regional Minister of the Nation, Tony Muhammad (who is a former minister of Muhammad Mosque #15 in Atlanta), that allegedly led to the minister requesting Clayton’s scamming services. Clayton’s wide array of accusations about the alleged underbelly of the N.O.I. aside, much more important to the Hip Hop community in Hill’s memoir are recollections of his own alleged role in aiding the man who supposedly shot and killed Biggie Smalls. Clayton Hill’s startling story about his alleged assistance to “Dawoud” ends with Clayton passing off the gun allegedly used to murder The Notorious B.I.G. to the personal driver of Minister Louis Farrakhan, Emile Muhammad, who, per Hill’s subsequent correspondence with HipHopDX, then took the weapon to an unnamed “high-ranking” official within the Chicago headquarters of the Nation of Islam. Was Amir Muhammad Involved With Notorious B.I.G.’s Murder? And with that statement, Clayton seems to have connected the dots to former Los Angeles Police Department Detective Russell Poole’s long-held theory that, while donning the formal dress of the Nation of Islam and driving a dark-colored Chevrolet Impala SS, Amir Muhammad fired several shots into the SUV transporting The Notorious B.I.G. from a party held at the Peterson Automotive Museum on Wilshire Boulevard in Los Angeles. In Nick Broomfield’s high-profile Biggie & Tupac documentary, during one of the most powerful scenes in the film, former Bad Boy Records bodyguard Eugene Deal identified Amir Muhammad as being present at the Peterson Automotive Museum just before Biggie Smalls was shot and killed. Clayton’s indirect connection to Bad Boy Records doesn’t end there. “Ironically, one of [my] un-indicted co-conspirators, Ornie Muhammad, is Sean ‘P-Diddy’ Combs personal driver in Atlanta,” Hill revealed to HipHopDX regarding his most recent criminal indictment on 40 Level 4 Fraud counts for his admitted filing of 122 false tax returns that netted him over $300,000. According to Clayton, Assistant U.S. Attorney Nancy DePodesta and two agents with the F.B.I.’s Domestic Terrorism Unit backed off pursuing charges against his wife, Tamara, only after Hill agreed to enter into a proffer agreement with the government, wherein he admitted to the entirety of his criminal history. Last Friday (July 8th) Hill was moved from the Metropolitan Correctional Center in downtown Chicago to the Federal Correctional Complex in Terre Haute, Indiana. According to the Federal Bureau of Prisons, Clayton Armstrong Hill is projected to be released from custody the day after Christmas 2016. Maybe then Clayton can more directly address the allegations he has laid out in his book and to HipHopDX, and possibly more definitively prove himself to be either the man who finally connected Amir Muhammad to the murder of The Notorious B.I.G. or just some guy with an inventive imagination making up stories to sell a book.